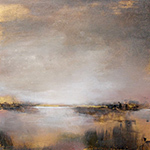 Welcome to our Artist Website listings; this page features fine art painters. Artists listed here are serious professionals who often have a degree in art. The artists are open to exploring possible representation by art galleries, private art dealers or art consultants. Their work has often been exhibited; they are always interested in learning of opportunities to participate in exhibitions or shows. The fine art painters featured on this page have been loosely categorized by style; the styles range from Abstract to Botanical to Southwest/Native American to Whimsical. You will find painters from nearly every state: from Florida to Washington, California to Connecticut. Andrey Allakhverdov received his Bachelor's degree in Moscow State Art University. He has been member of Moscow Art Union since 1979. Mr. Allakhverdov had numerous exhibitions in Russia, USA and Europe. His paintings could be found in many countries. Some of his most recent works are 37 paintings (40x30 inch.) dedicated to well known artist of 19-20 century. Andrey Allakhverdov currently lives in Boston, MA. Website: https://www.allakhverdov.com/ phone: 617-797-9561 email: allandrey2014@gmail.com.